In our constant quest to evaluate the strengths and weaknesses of Digital Asset Management technologies, we regularly debrief technology users, IT support teams, implementers, consultants, vendors, and others with hands-on experience working with DAMs. 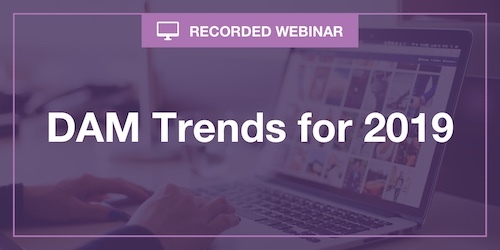 In this session, Jarrod reveals the top eight trends every DAM worker should be aware of as we head into 2019. You will gain an understanding of the evolving Digital Asset Management Marketplace and get a glimpse into where DAM is headed in the coming years.